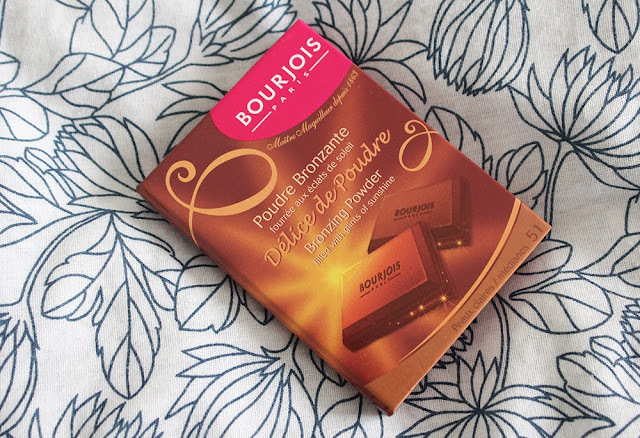 Over the years I've heard of many cult favorite bronzers such as Nars Laguna and Chanel Bronze Universal but one that really stuck out to me was the Bourjois Bronzing Powder. 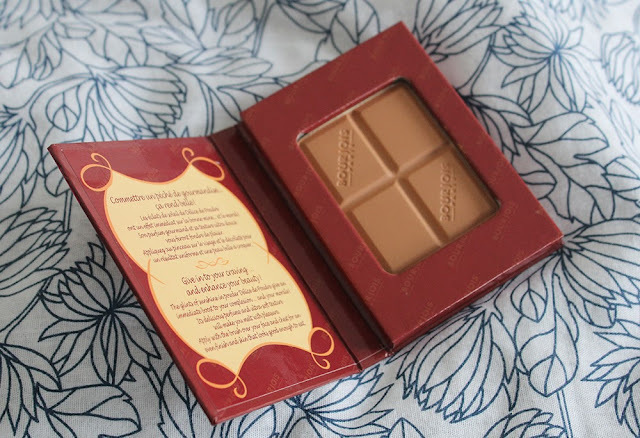 The candy bar emulating bronzer that supposedly smelled like chocolate was affordable but out of reach unless you lived in Europe. Well, you bet I searched high and low for this when I was in London and quickly grabbed it up with a 3-for-2 offer! This product retails for £6.99 ($11.60) at Boots but people who don't have Bourjois in their local drugstore can purchase this bronzer for about $13 from Asos. The packaging is a lightweight but sturdy cardboard box that magnetizes shut. The bronzer has the cutest chocolate bar pattern that I really fancy. The scent is not quite chocolate in my opinion but definitely smells sweet. 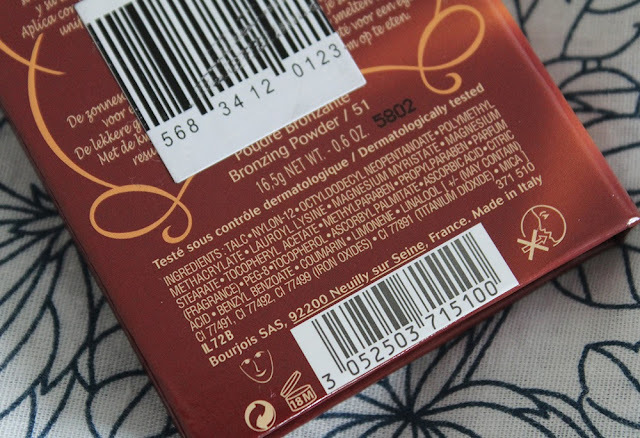 The product is made in Italy which I thought was interesting even though Bourjois is a French brand. Above is the ingredients list for those who may be curious. You get 16.5 grams of product which is double that of Nars' Laguna (which is already quite big). The amount of product you get is actually a lot despite the pan not looking so big. I have the shade in 51 which I believe is the lighter of two (52 being the darker color). The color is a matte yellow brown that does not look quite orange (a good thing). The powder is soft and smooth without being powdery. The formula reminds me of the Catrice Sun Glow Matt Bronzing Powder although the color is lighter than the Deep Bronze shade of the Catrice bronzer. You can dust a light layer on the face for a subtle contour and illusion of dimension or build up the color for a more sculpted look. I am very pleased with the Bourjois Bronzing Powder and think the raves for this are sincere. 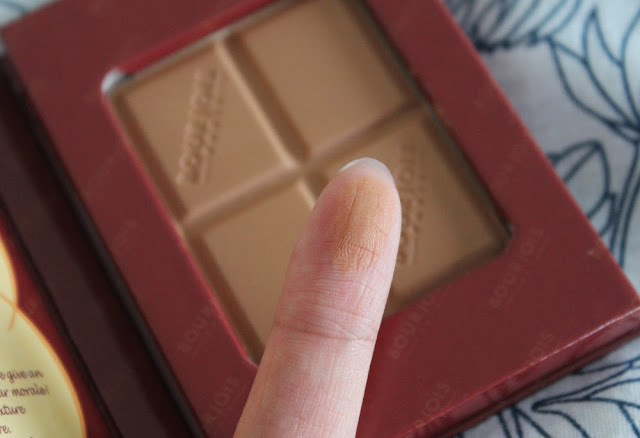 I really love the matte finish because it's not too easy to find inexpensive, high quality matte bronzers. With the warm weather slowly, very slowly approaching, I can't wait to use some more bronzer to add life to my sallow complexion!